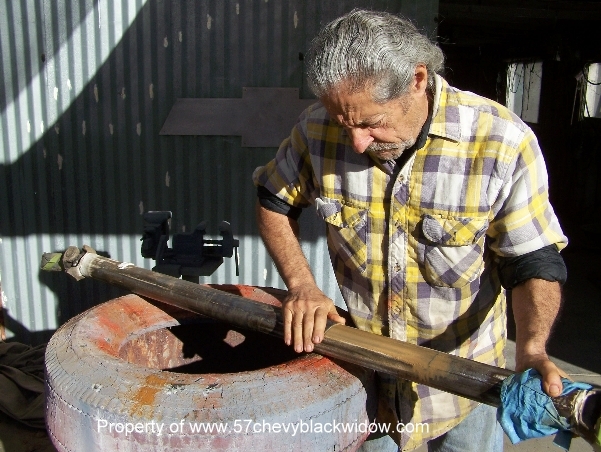 This update shows "Old Guy Scott" sanding and painting the driveshaft, after installing new universal joints. 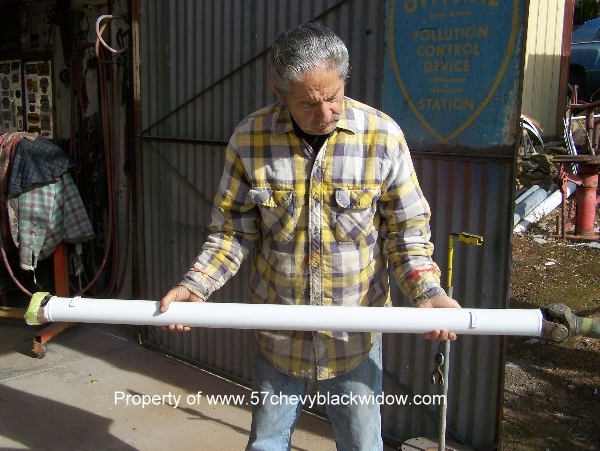 According to stock car sanctioning in 1957 and even today, the drive shaft must be painted white. This is required in order to make it easier to find in case of accident or driveline failure. Don't forget this important detail.